please use our handy information request form. 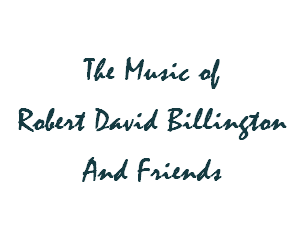 Flutist Robert David Billington moved to Miami, FL in 1988 to finish his Doctorate of Musical Arts degree in flute performance at the University of Miami School of Music where he received a graduate assistantship and a full tuition scholarship. In the Autumn of 1988, Dr. Billington formed the Billington and Gonzalez Duo with classical guitarist Dr. Rene Gonzalez, head of the classical guitar program at the University of Miami, in order to perform for concerts, festivals, and background music engagements. Billington also began performing in the Fall of 1988 with Roger Bustamante, a Peruvian-born guitarist who specializes in the popular music genres of the Americas. After completing a demo recording with flute, guitar, and conga (the first LGEM Trio), a whole new musical genre was born - that of LGEM (Latin Gringo Elevator Music). The current configuration of the LGEM Trio is flute, guitar, and MIDI percussion. The signature groups of LGEM - the Billington and Gonzalez Duo and the LGEM Duo with guitarist Daniel Montana - are pleased to perform for recitals, concerts, festivals, weddings, receptions, parties, corporate events and for just about any functions that are enhanced by music. 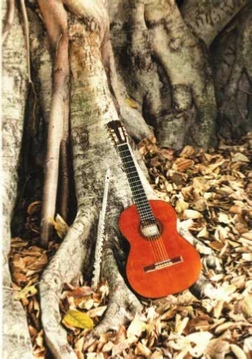 Other musical offerings include solo classical flutist Robert David Billington, the Billington-Gonzalez-Arencibia Flute, Guitar, and Oboe trio, the Billington-Gonglewski Flute and Keyboard Duo, the LGEM Trio (a combo of flute with guitar, piano, or percussion), the LGEM Quartet (flute, guitar or keyboard, bass, and MIDI percussion), and the LGEM Quintet (flute, guitar, keyboard, bass, and MIDI percussion). Dr. Billington earned his DMA degree in the year 2000 upon successful completion of his doctoral essay, "A Description and Application of Robert Aitken's Concept of the Physical Flute," which is described at http://www.rdbflute.com/RDBDE.html. Please visit our individual web pages for more information. And please visit our companion site at http://www.rdbflute.com for more information about our concert offerings and flute lessons.